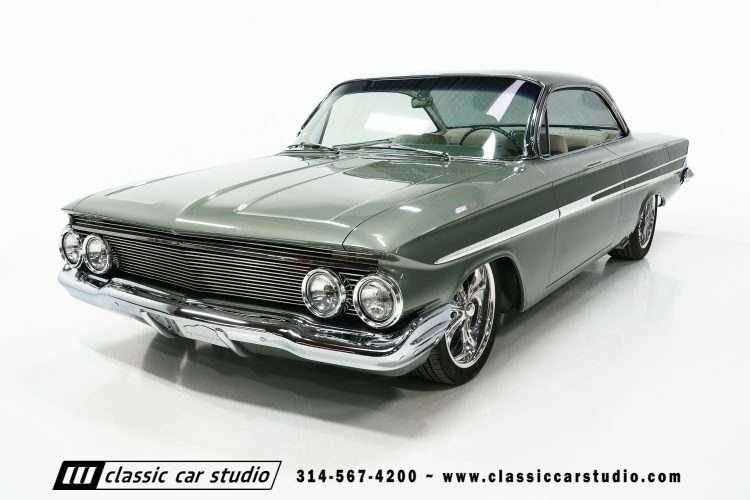 This 1961 Impala was the recipient of a complete rotisserie restoration back to better-than-new condition. 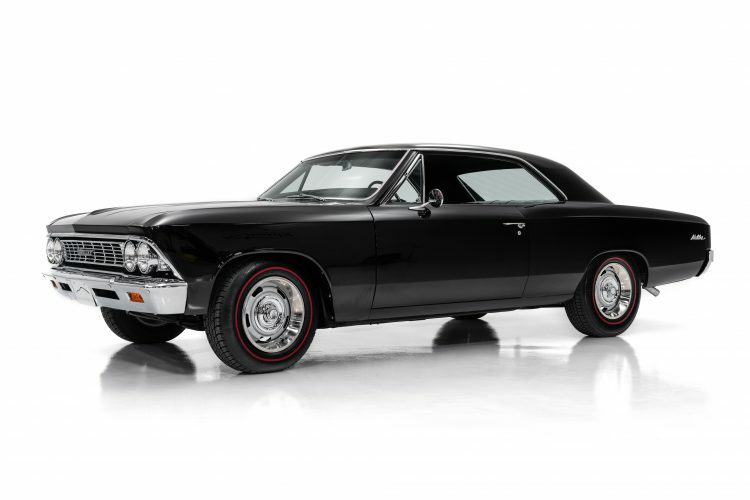 The long and sweeping lines of the Bubble top Impalas make for awesome custom restorations and this car is no exception. 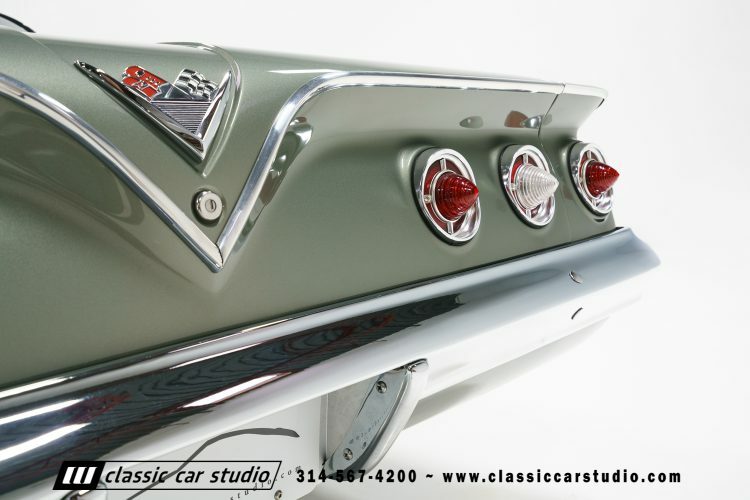 This 1961 Impala was the recipient of a complete rotisserie restoration back to better-than-new condition. 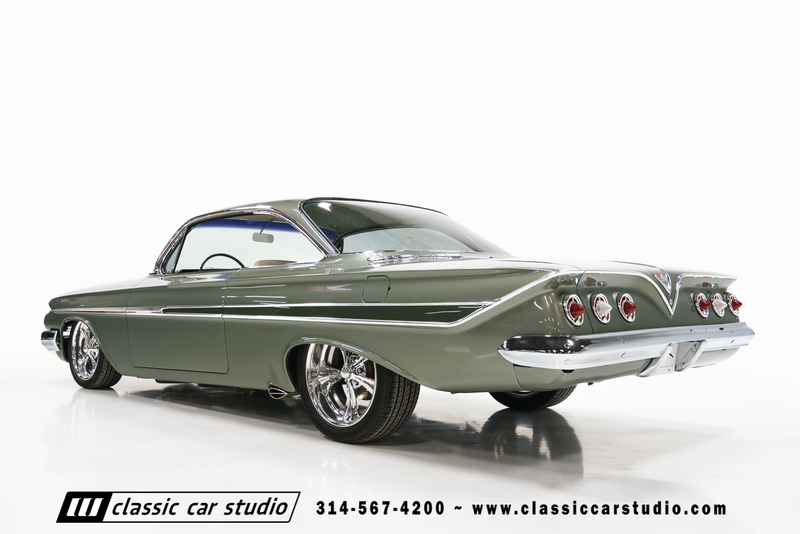 The long and sweeping lines of the Bubble top Impalas make for awesome custom restorations and this car is no exception. 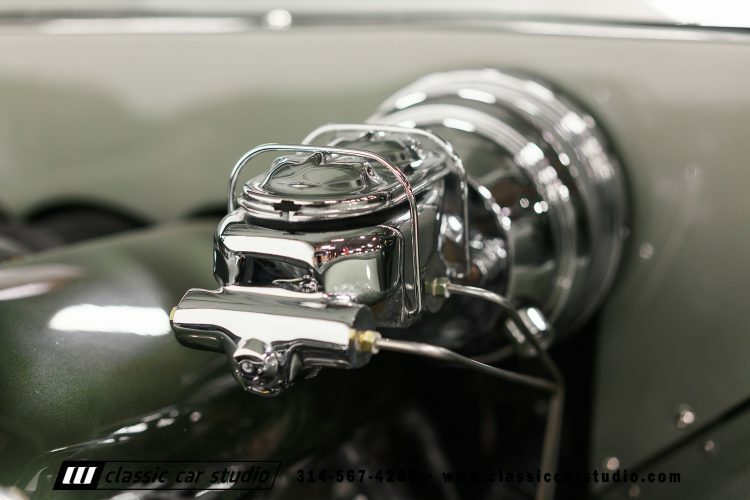 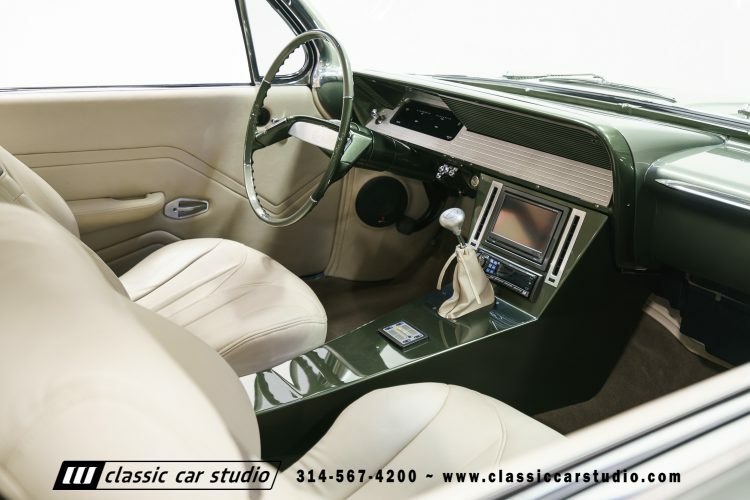 Paint and body are done to top show quality levels, the mechanical components have been finessed, and the interior is a fine example of craftsmanship mating with good quality components. 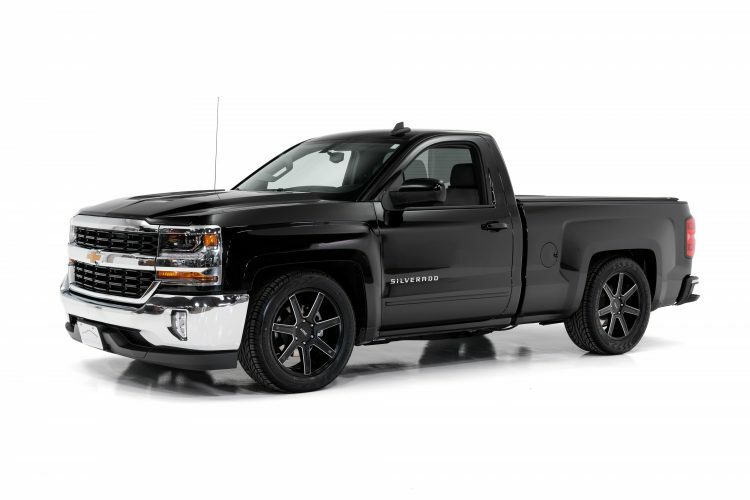 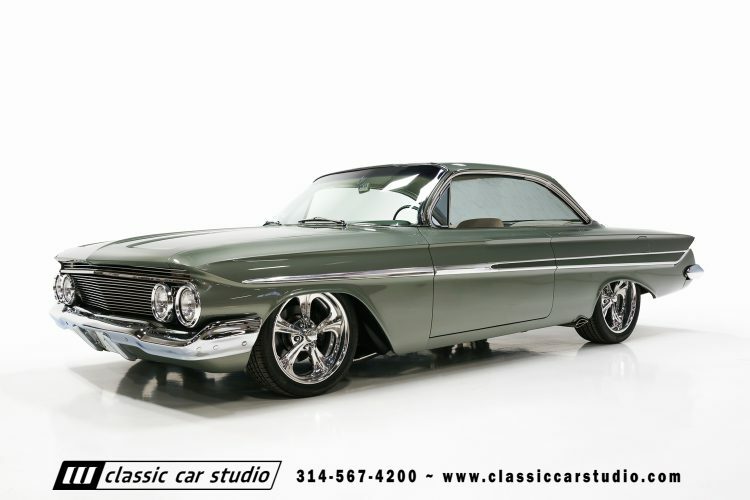 Stance is everything, and this Chevrolet sits just right. 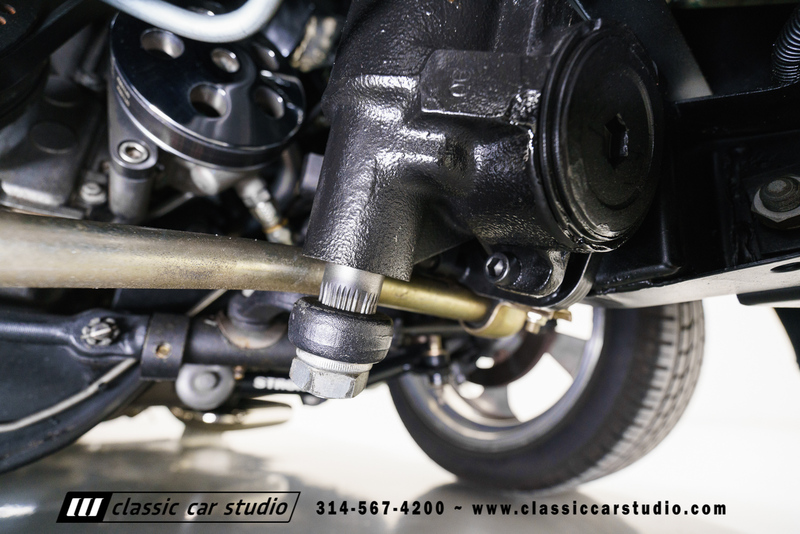 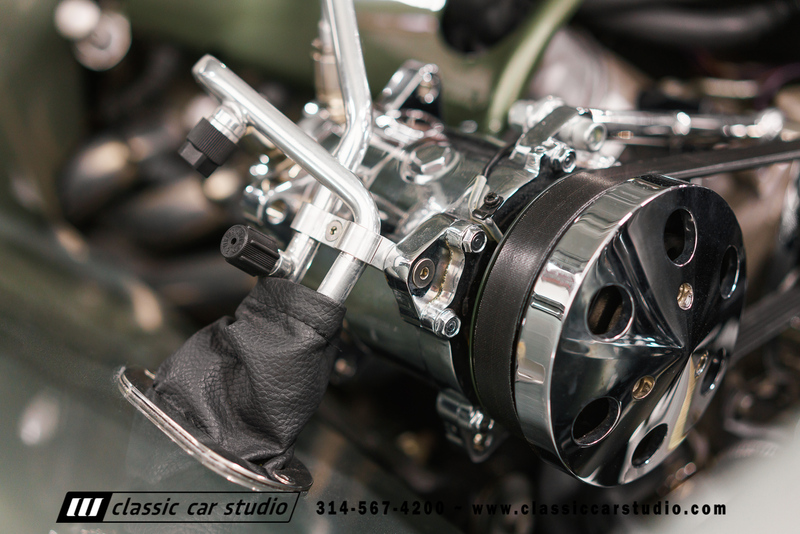 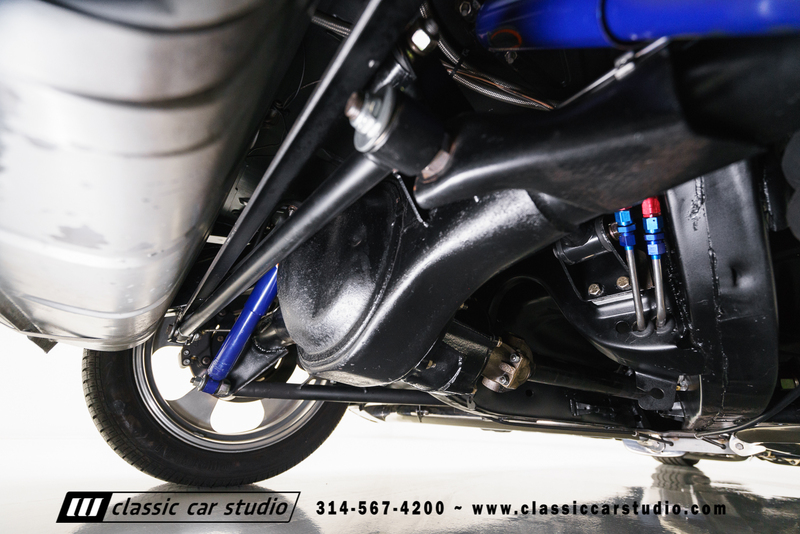 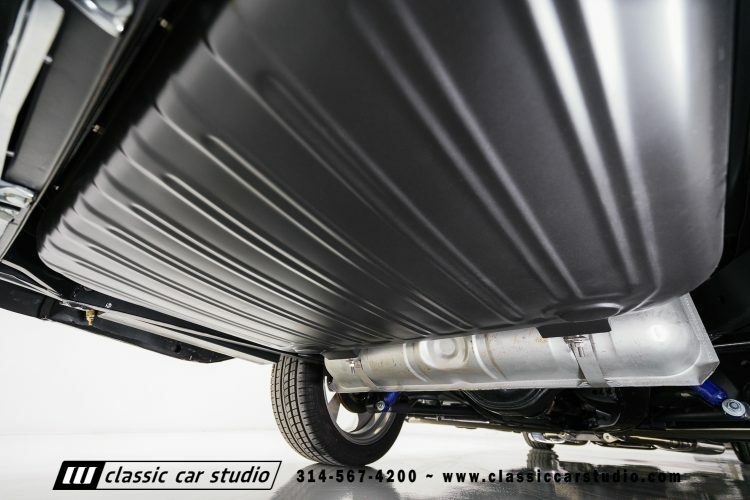 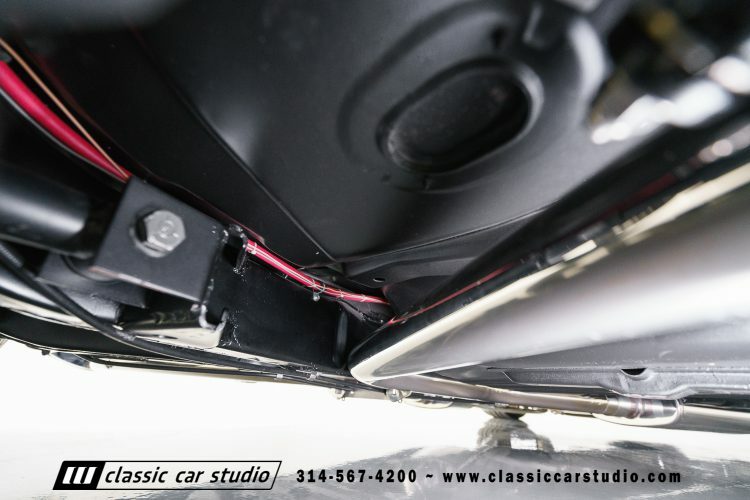 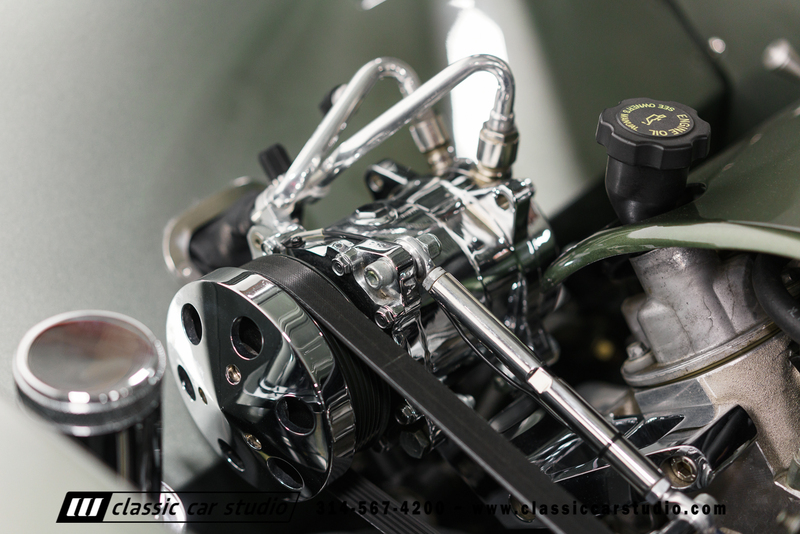 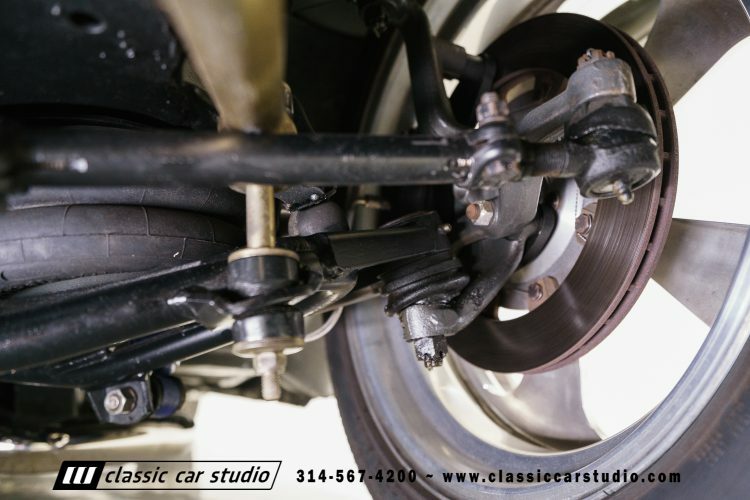 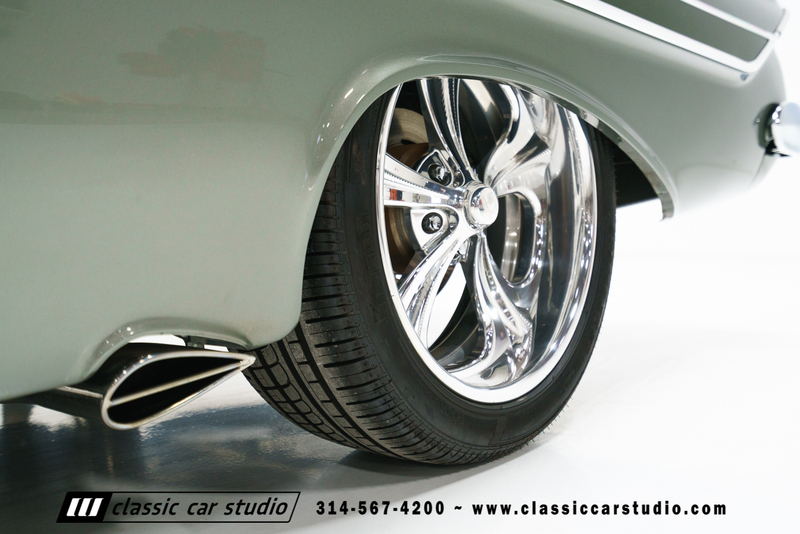 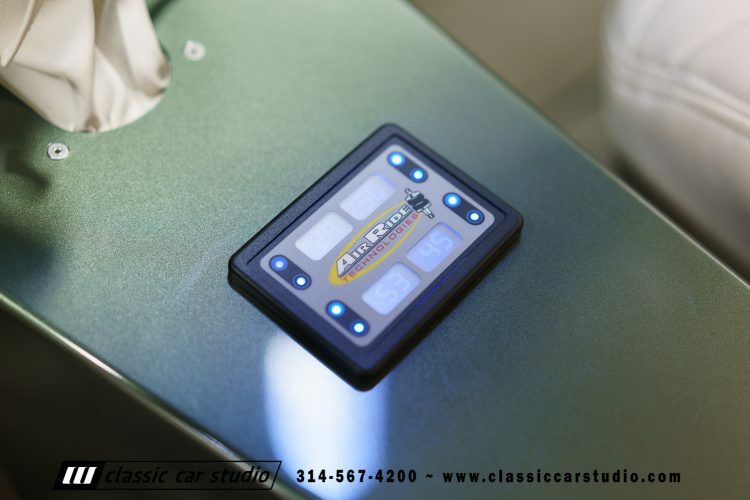 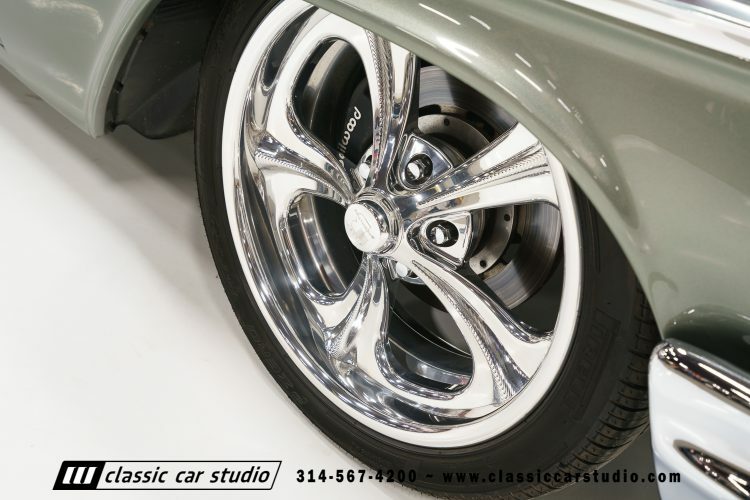 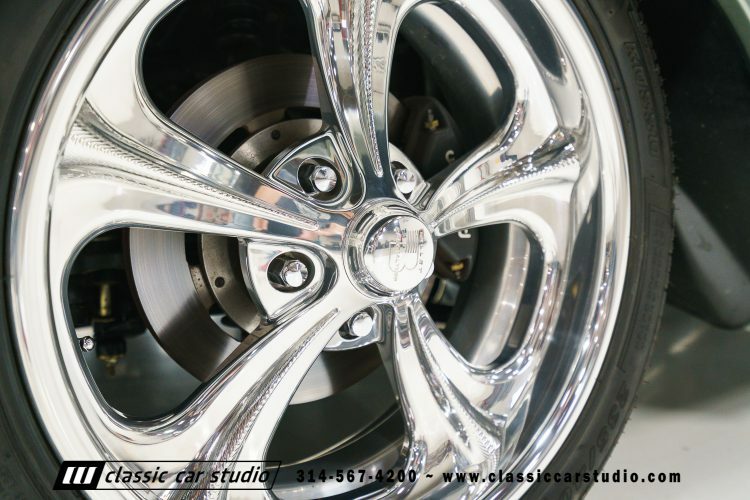 The car rides on a completely rebuilt suspension from front to rear comprised of high quality stuff from Air Ride Technologies. 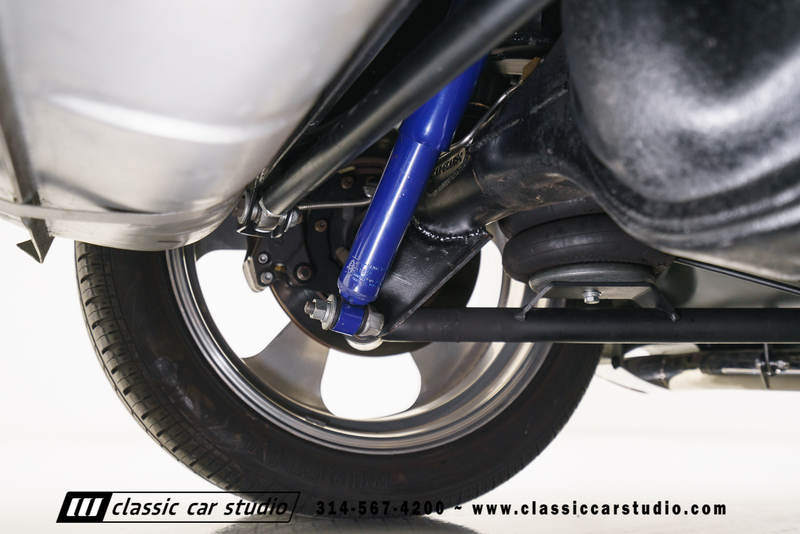 The suspension has all new bushings throughout, new steering components and tubular control arms up front. 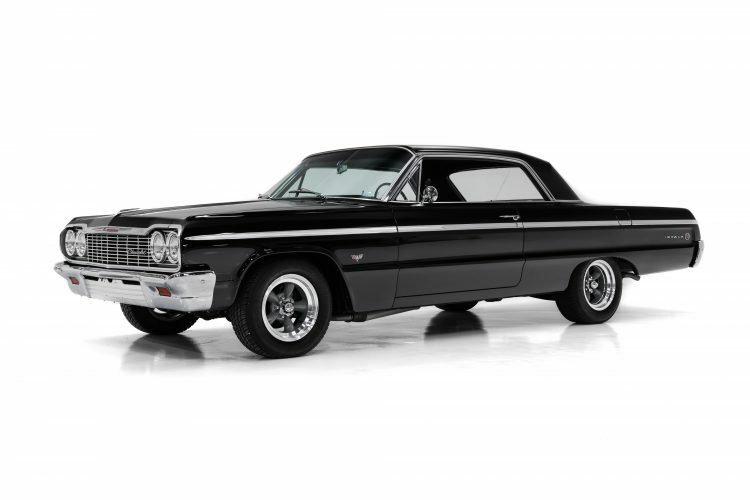 Bringing the Impala to a halt is a set of Wilwood brakes powered by a chrome booster and two bowl master cylinder. 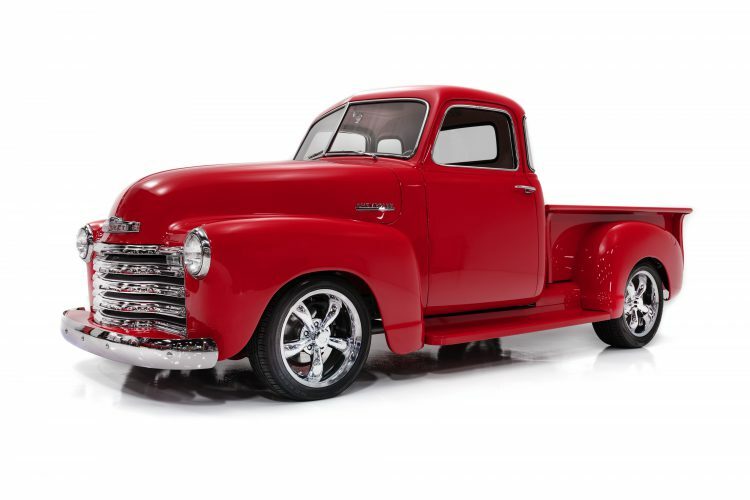 Bringing the stance to a firm close are the wheels – Billet Specialties Rat Tails sized 18” in the front, and 20” in the rear. 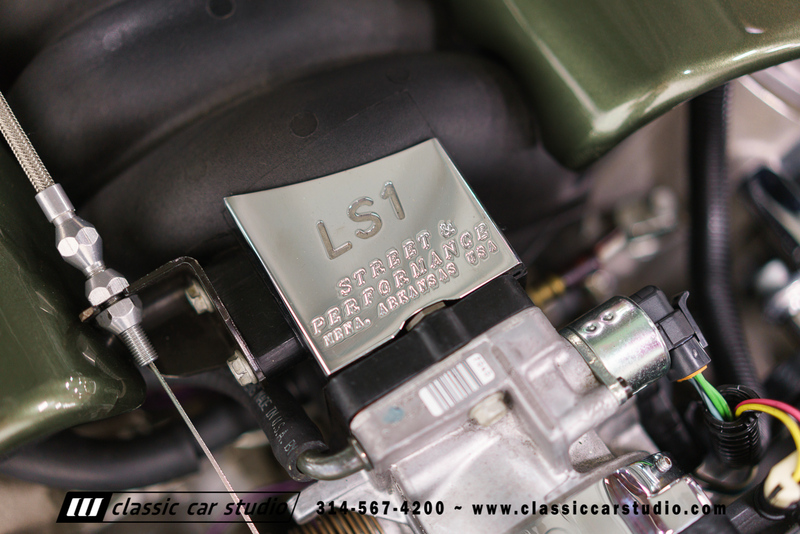 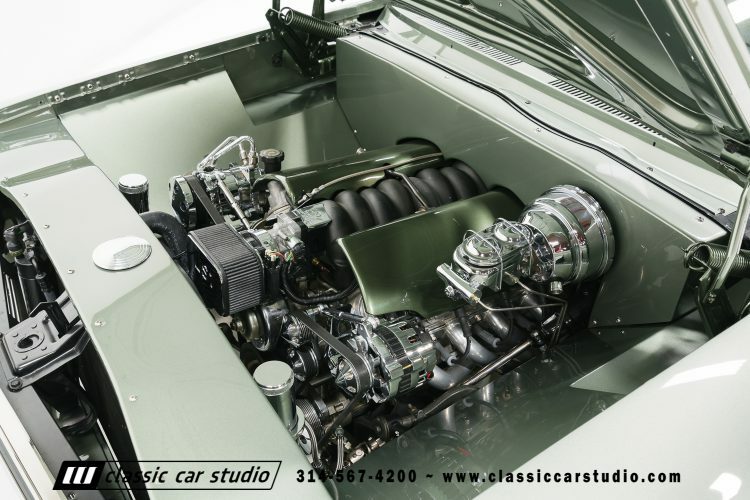 Power is delivered via a 1998 LS1 out of a Corvette that makes 345 HP and the smooth shifting action stems from a 4l65E overdrive transmission.The engine is nicely framed by an engine compartment comprised of a custom metal firewall and one off inner fender wells. 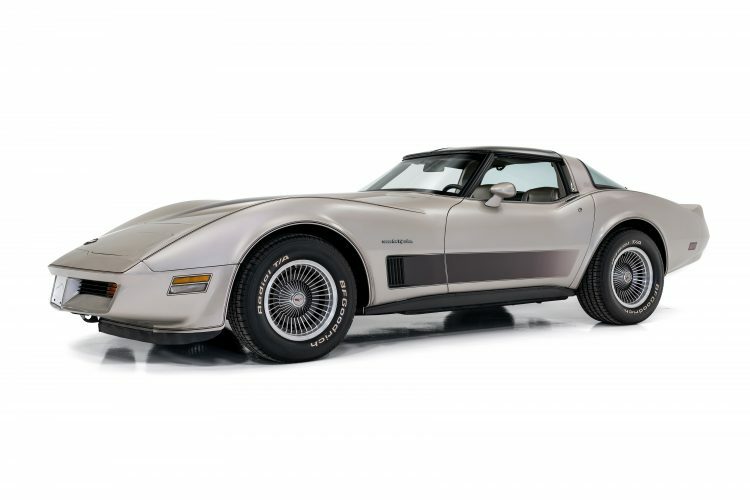 Keeping things cool is a Griffin radiator and a nice crisp exhaust note exists through a set of coated headers and a slick polished exhaust system. The body on the car was blocked exceptionally straight, and the paint has been color sanded to remove all texture out of the clear coat. The paint is Sikkens and the custom mix is called “Color of Money,” which is particularly pertinent, as this car was not cheap to build. 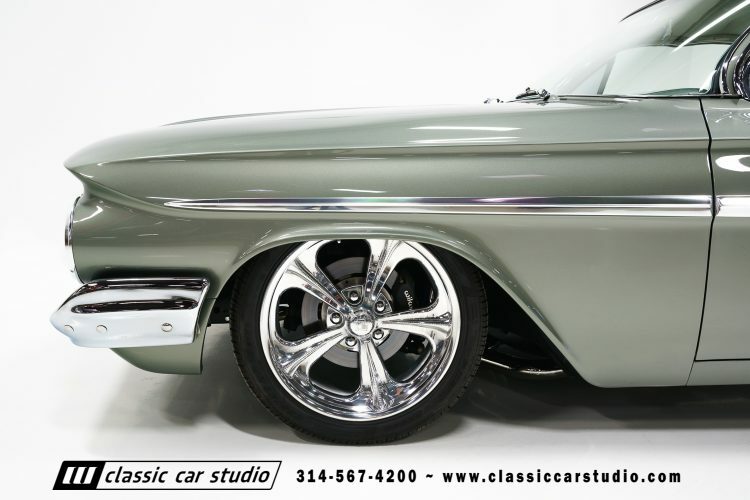 All of the glass is new, and all of the chrome and stainless has been restored giving the car a show car flair. 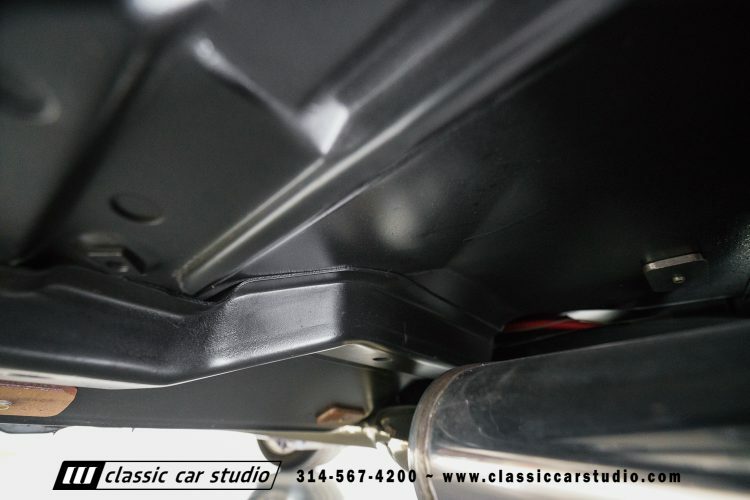 Also new from front to rear is all of the body rubber and all of the body bushings. 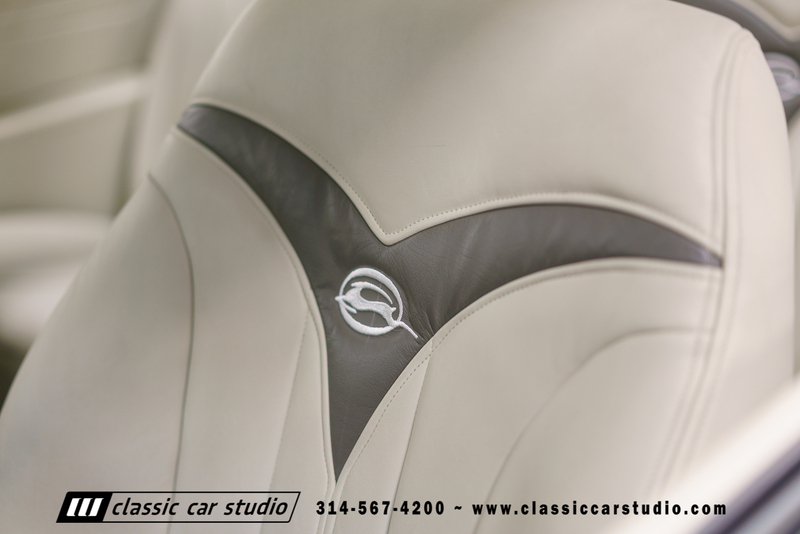 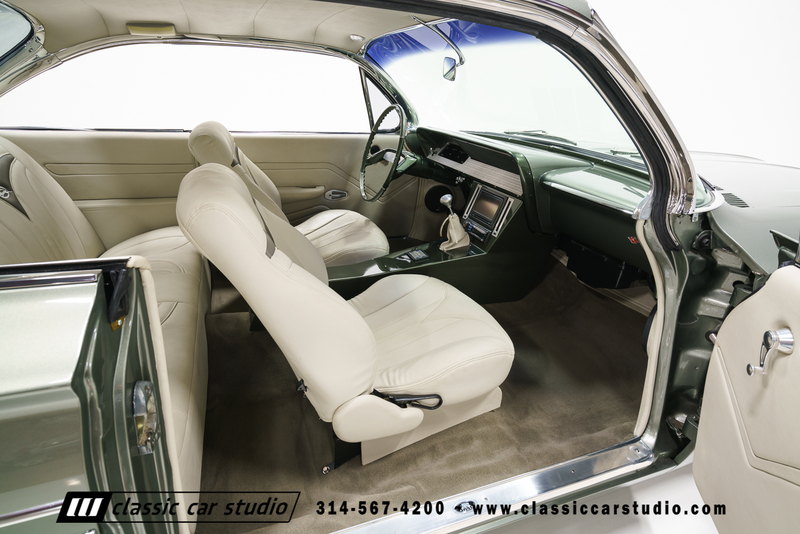 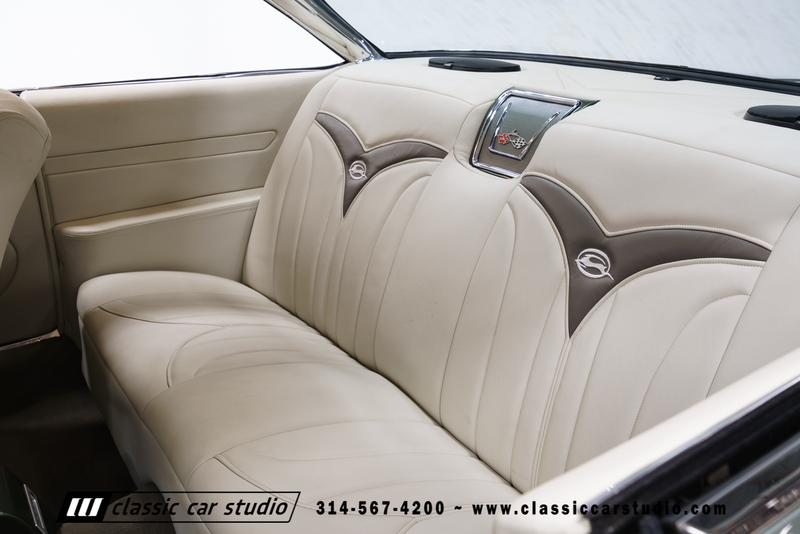 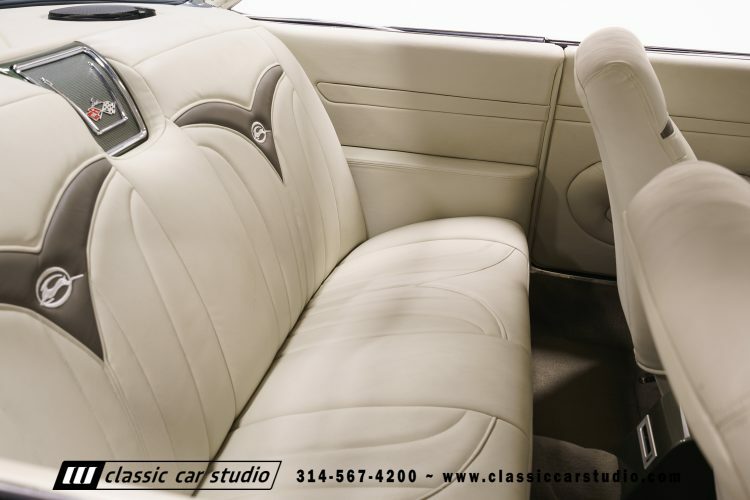 The interior is a nice custom job performed by Roth’s Upholstery. 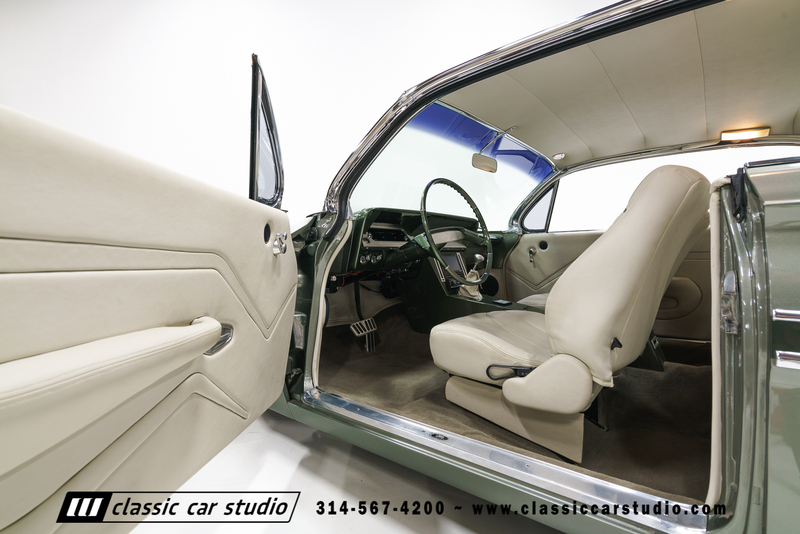 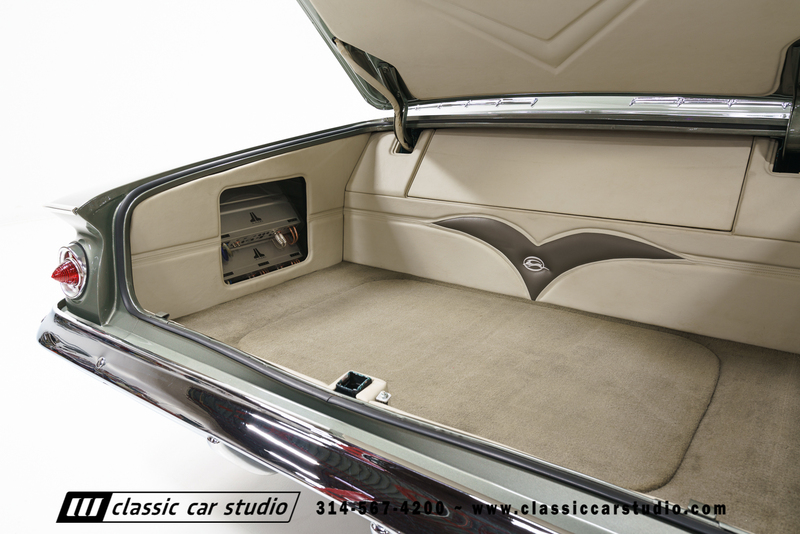 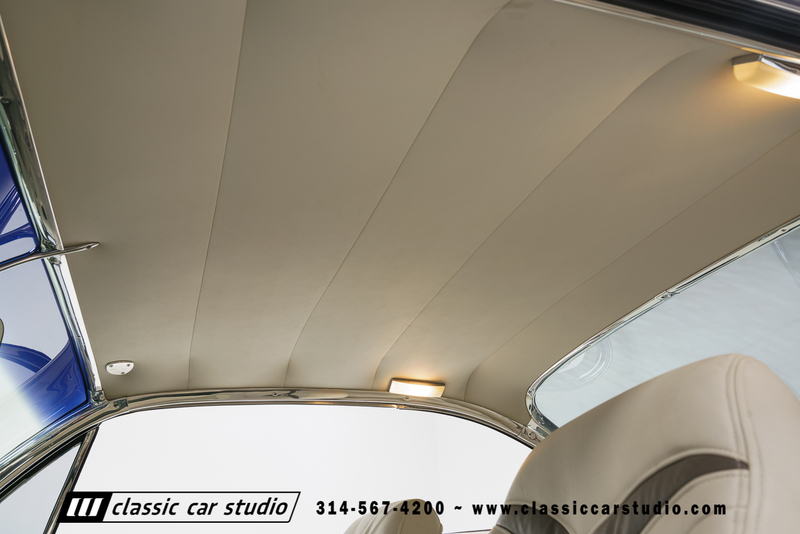 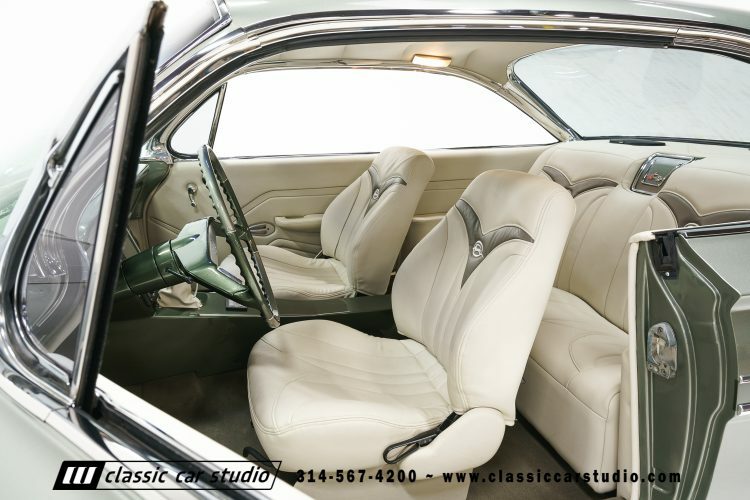 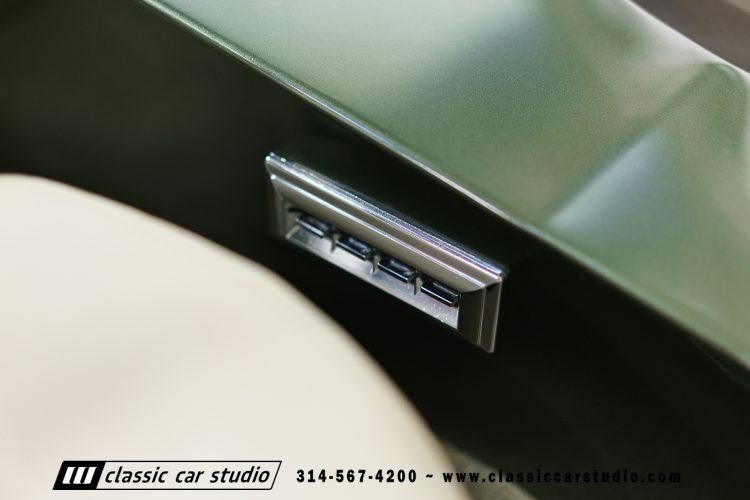 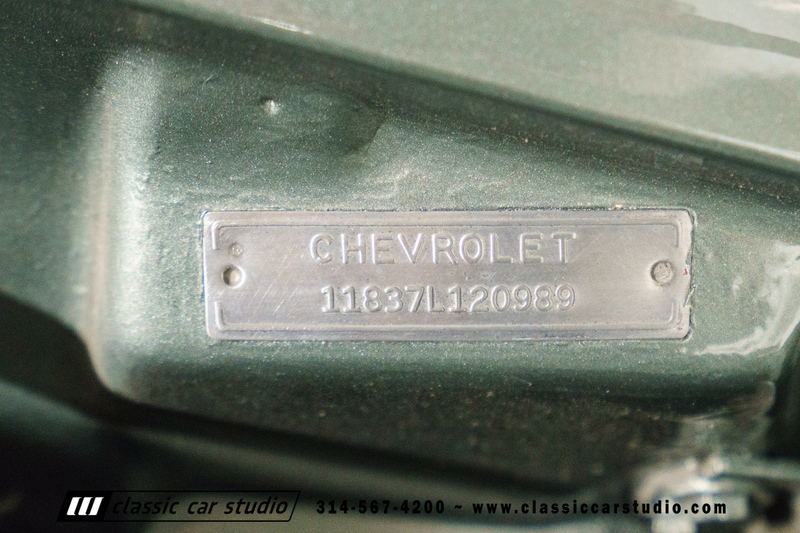 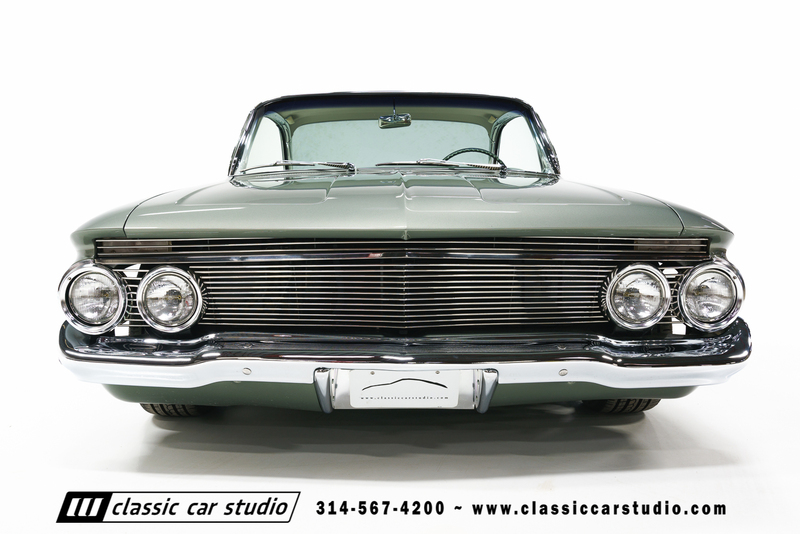 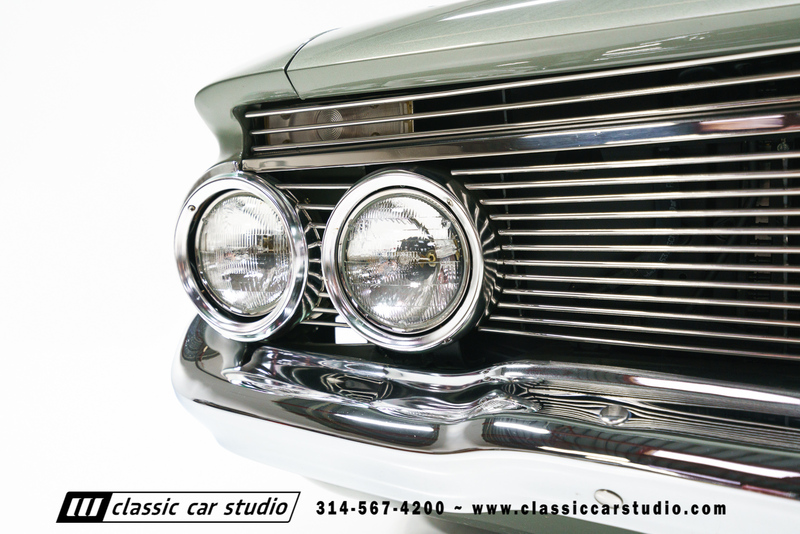 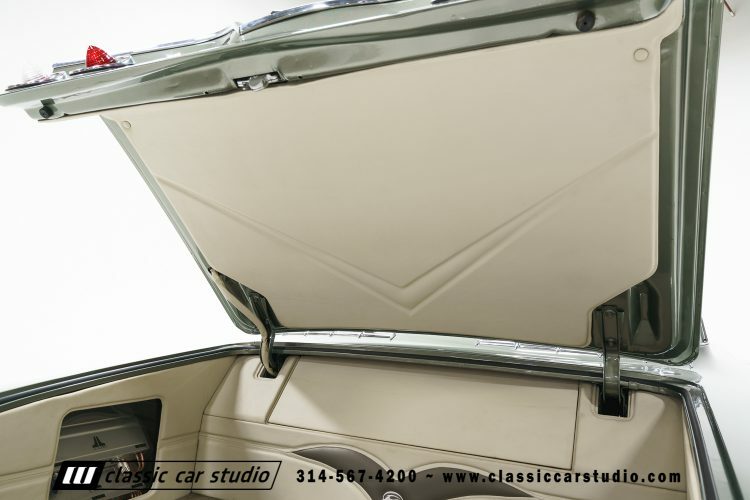 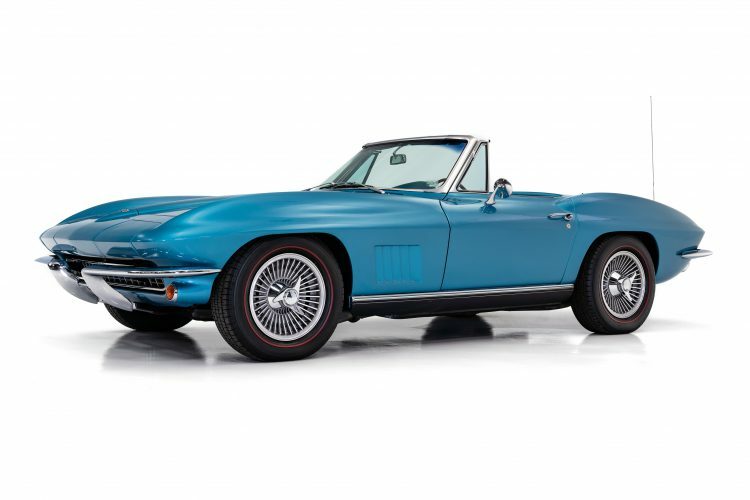 It features custom front and rear seats, a one off package tray, restored chrome interior trim, and a custom center console. The American Autowire wiring harness is brand new and the dash is by Dakota digital. 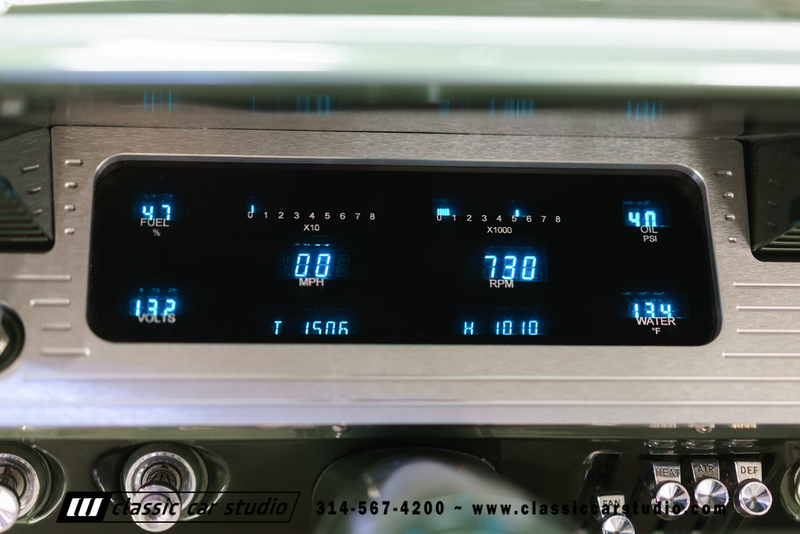 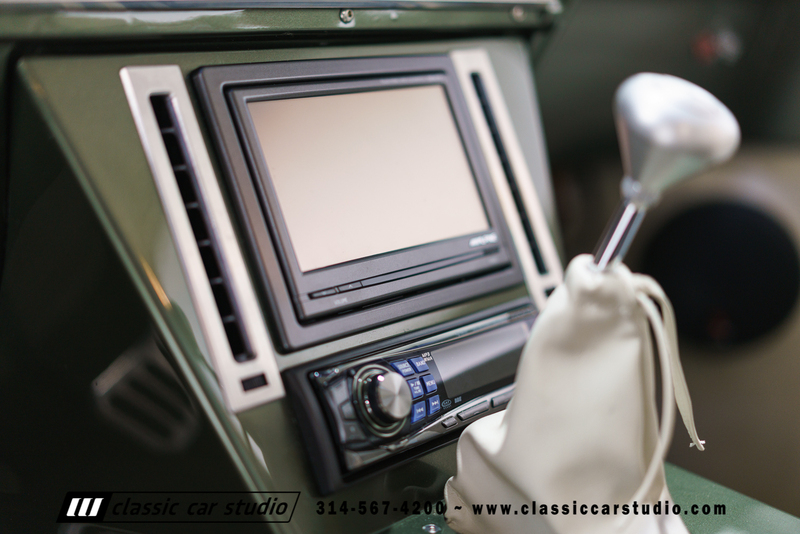 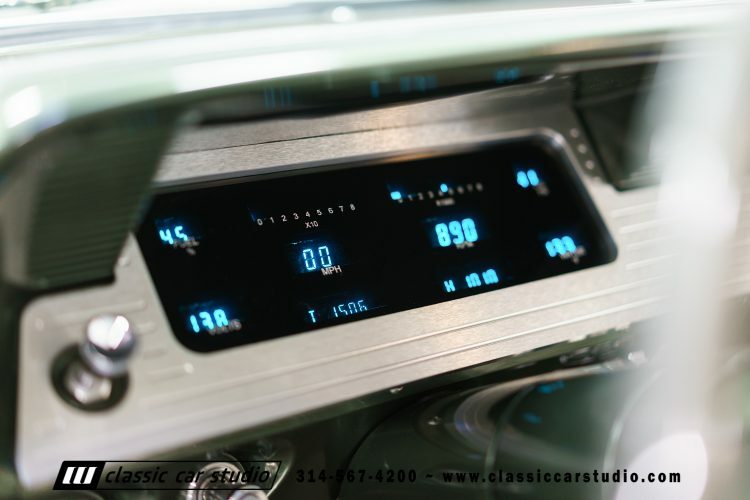 The stereo features an Alpine head unit with DVD monitor, and Sirius satellite radio. 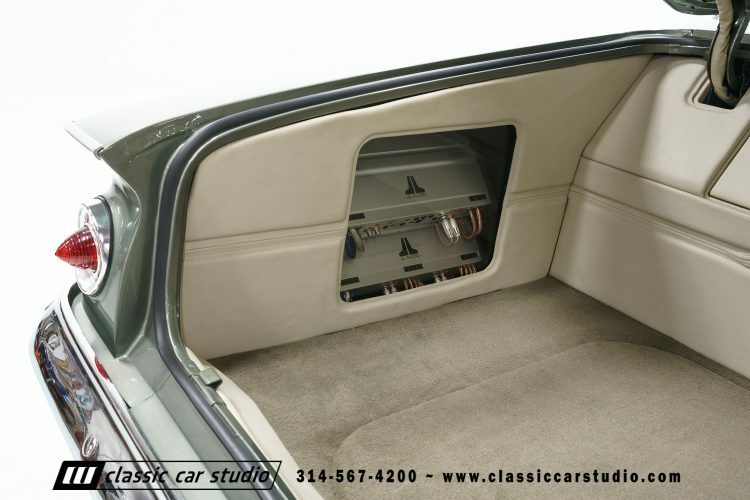 The front speakers are Focal components and rears are 6×9 JL Audio. 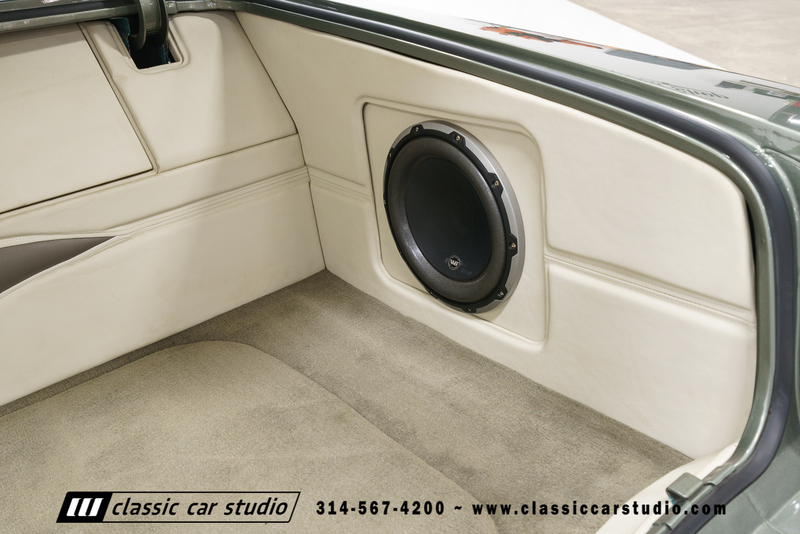 Kicking up the bass is a 10” sub and accompanying amp. 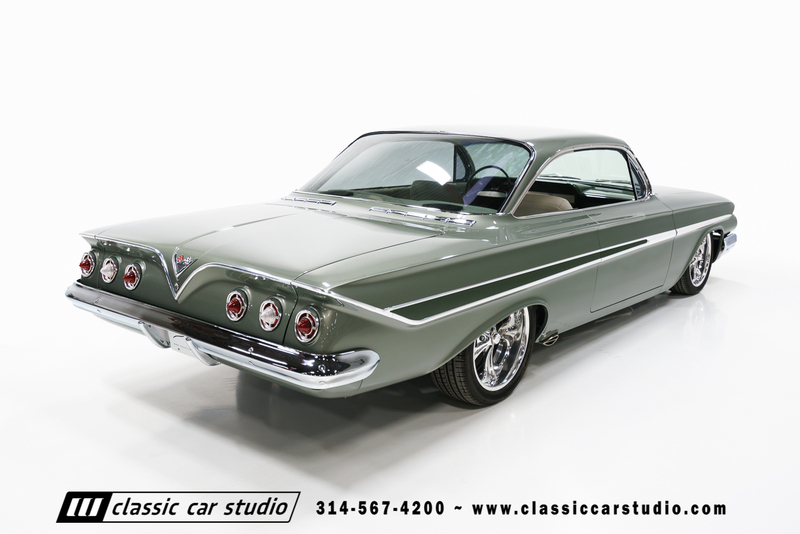 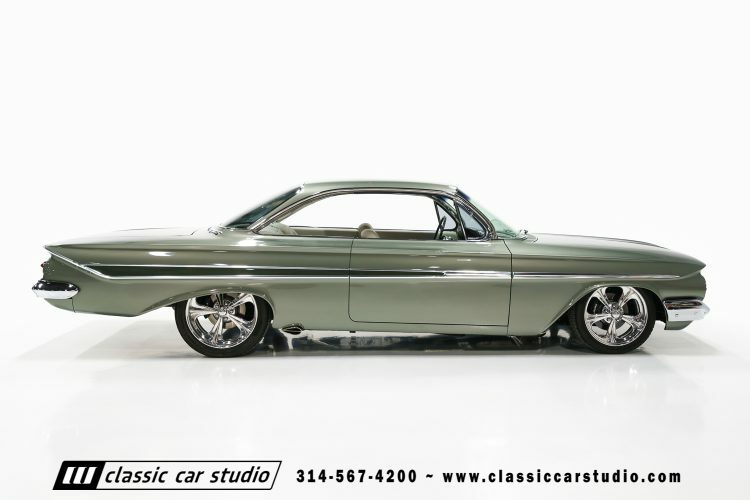 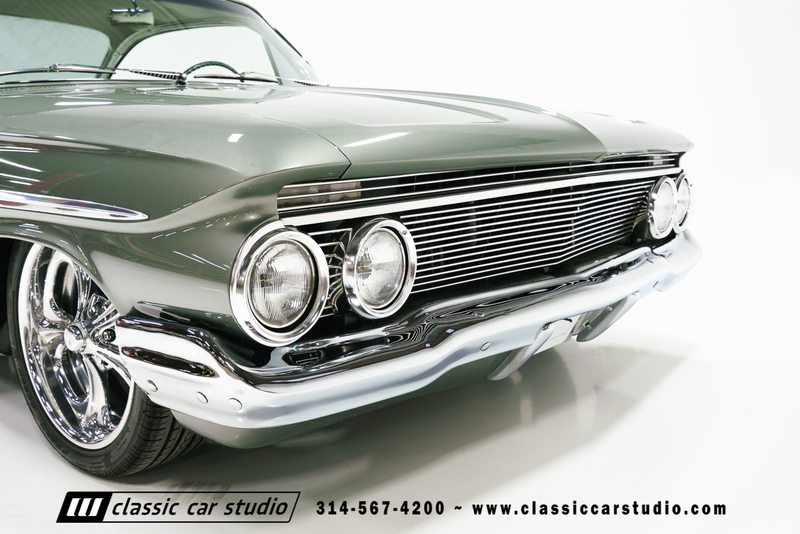 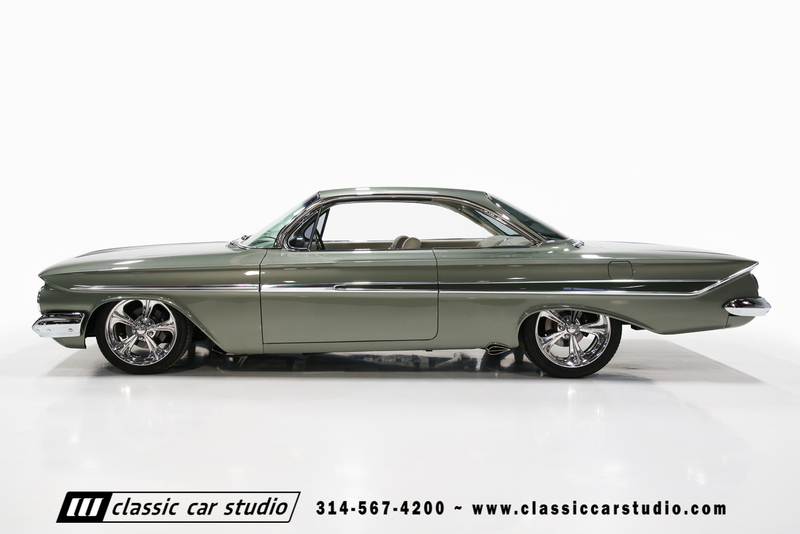 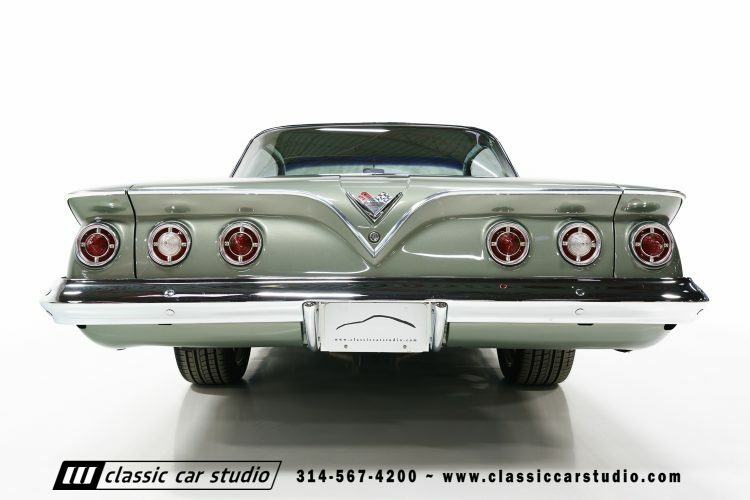 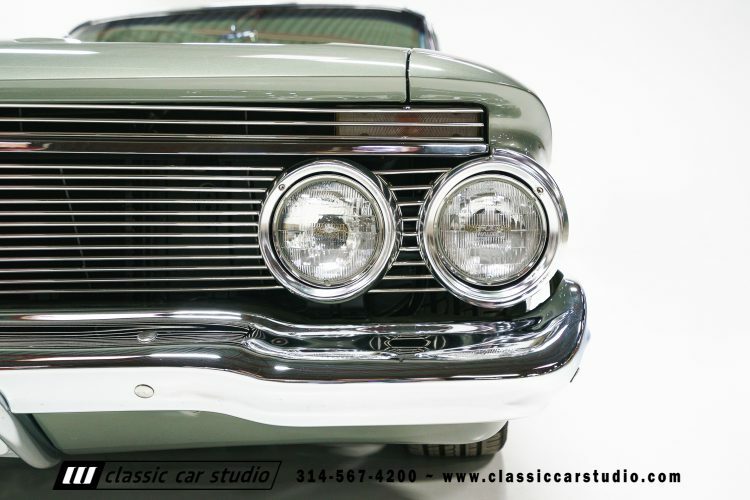 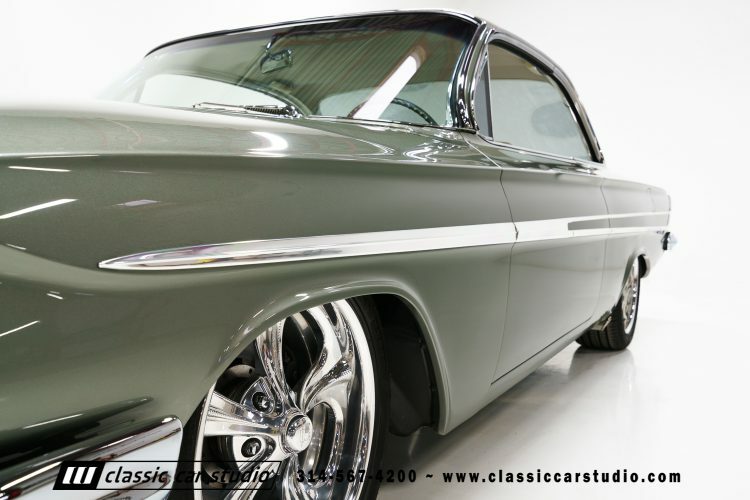 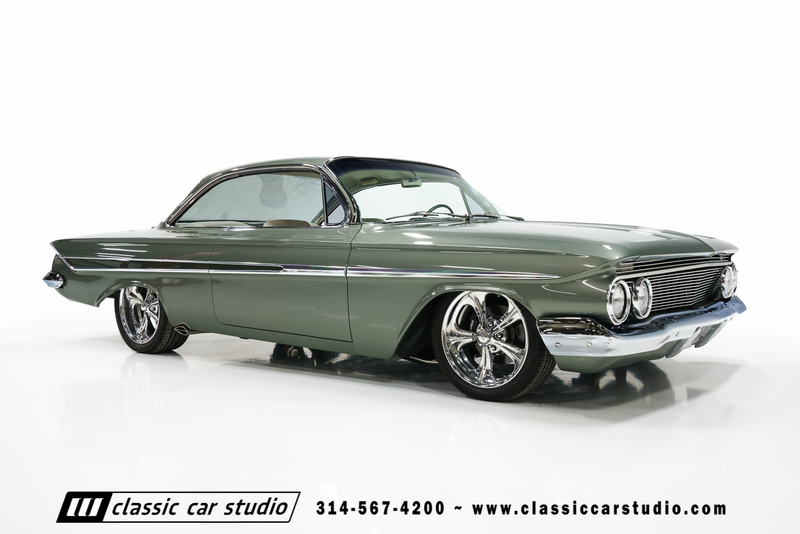 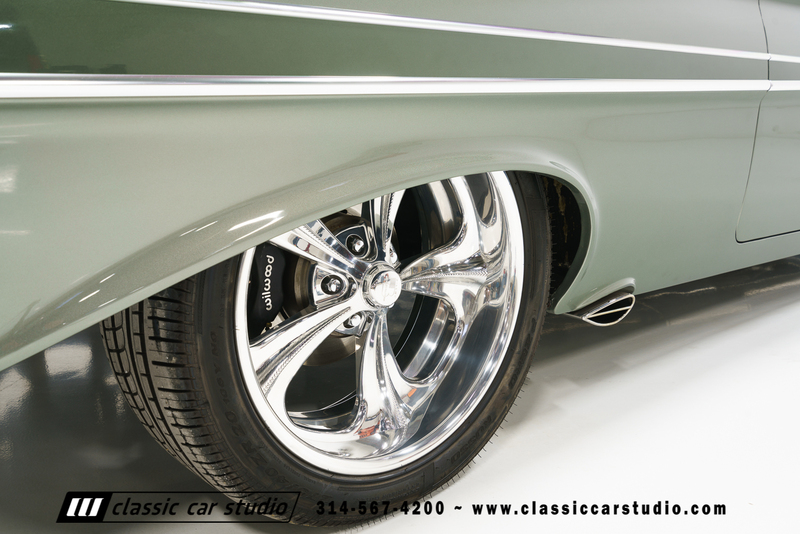 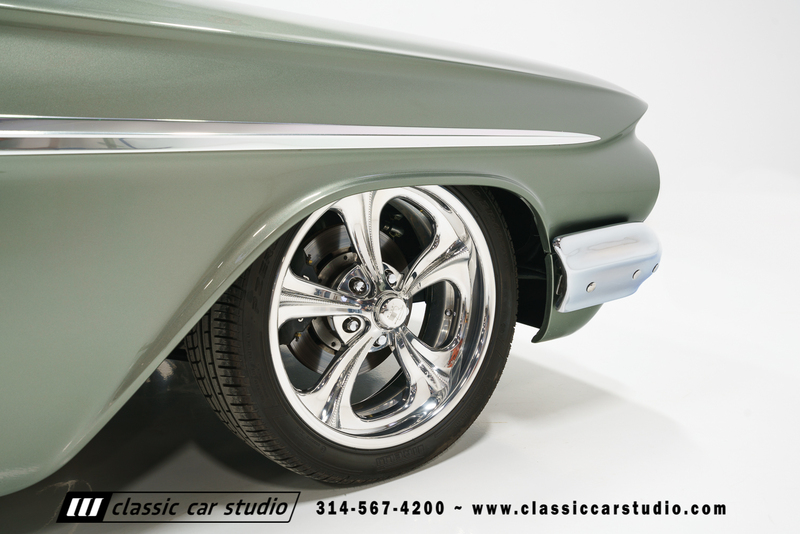 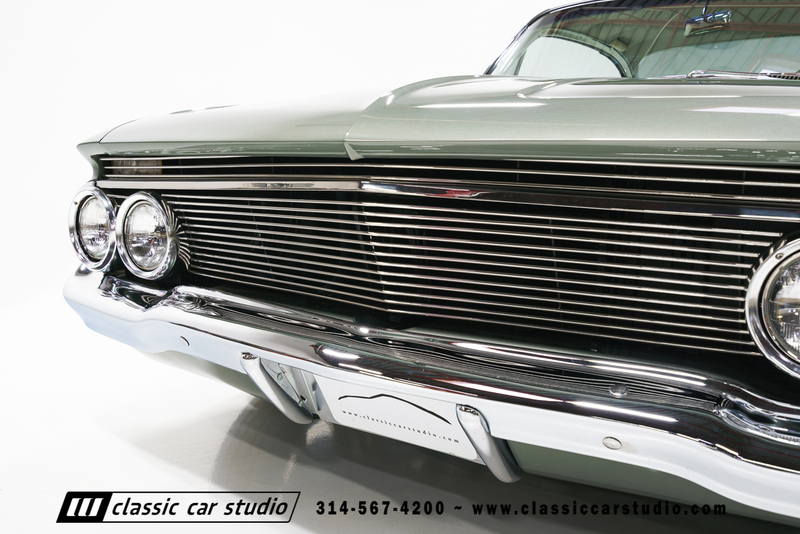 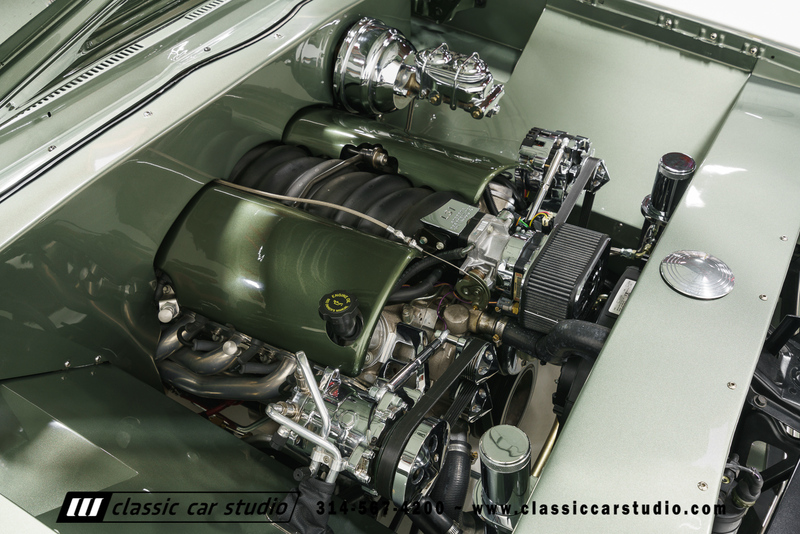 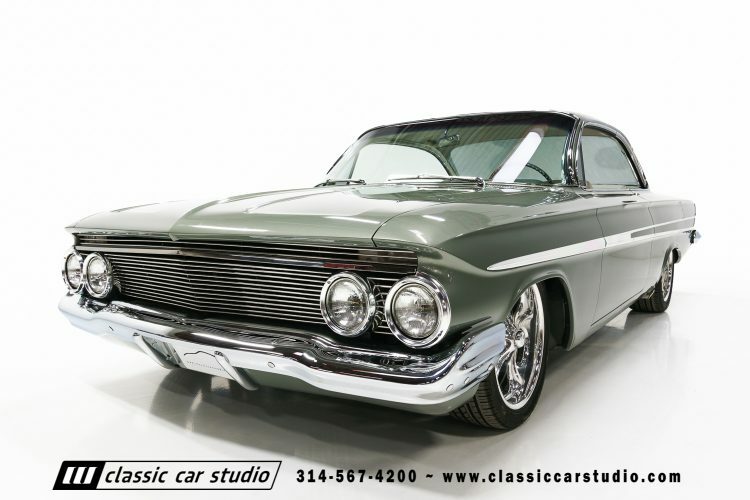 For the Chevy enthusiast looking for very high level custom, this 1961 Impala is immaculate.